International Women’s Day (IWD) was marked by the footballing community by a gathering of the sport’s top female football stars and leaders at the Fifa Women’s Football and Leadership Conference in Switzerland. The event gave a platform to the sallow but rising hope of women and female players around the world. as geared towards planning how to take women’s football to the next level. 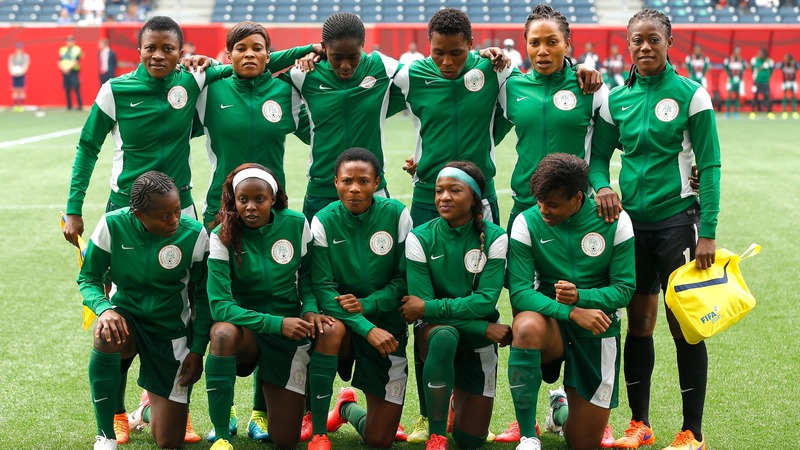 Goal reached out to some African players involved to collate their demands from the Confederation of African Football (Caf) in bid to improve the women’s game in Africa. Liverpool Ladies striker Asisat Oshoala, the only African featured as a panellist in Zurich, Equatorial Guinea defender Tobiloba Windapo, and Cameroon midfielder Carine Ndum all agreed to speak to us about the vision of the conference and any progress made. The trio appealed to Africa’s footballing body to provide improved competitions and increased recognition for the women’s game. 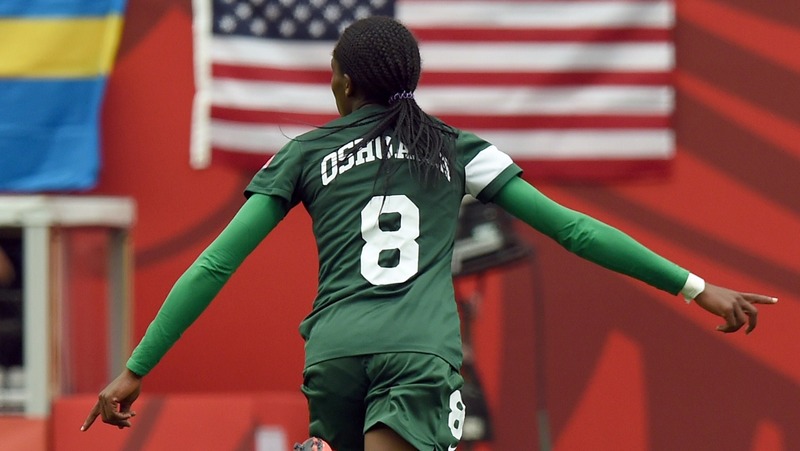 Asisat Oshoala: “There is a lot to ask from Caf because we lack a lot too as women footballers. Caf needs to engage more women in football administration. We want a good league organization structure like that of the men. We should have our own Africa U-17, U-20 cup competitions, and not only the World Cup that we see for our youth age groups. We can also have a women’s Champions League in Africa, where the champions of every country will battle for trophy. We want more investment in the league and domestic competition so as to make it attractive and rewarding, like the men. Caf can always get sponsors for the female leagues just as they get sponsors for the African Women Cup of Nations (Awcon). 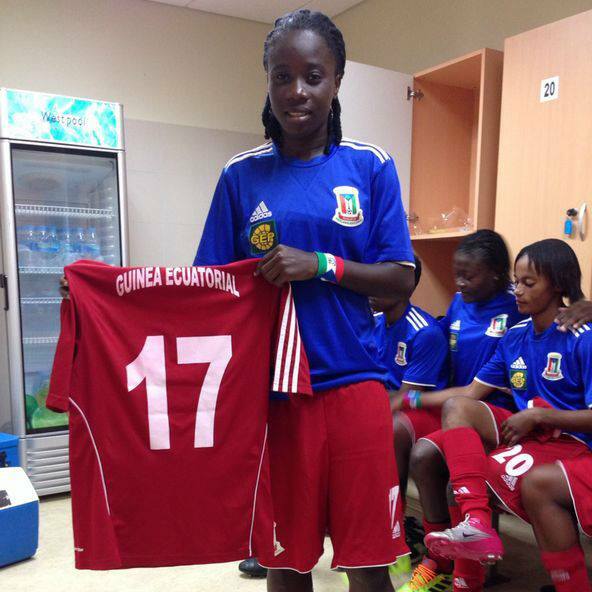 Tobiloba Windapo, Equatorial Guinea and Confluence Queens defender : “Africa is one of the continents that has produced the most talented female footballers, and is among top continents playing a great role in the development of the football in the men’s category. But it is still behind in women’s football. Africa needs more women’s competitions to help develop the ladies’ football and bring greater awareness to the continent. Caf should use their powerful office to attract women’s football development in Africa, as such an event will help plant and promote grassroots programmes for talented female footballers. 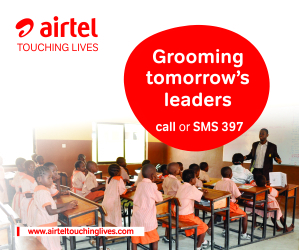 Africa has a great population of talents should not be neglected. Caf should invest more in women’s football at the age-grade levels, because Africa has more bright prospects with the female than the male at the international level. Caf needs not focus their attention only on male football, but also on the females, by organizing competitive youth competitions for the under 13s, 17s and 20s. The organizing of only the African Women’s Championship with no age-grade competition, is a major reason why the continent has not done well at the World Cup, even as the age-grade World Cups. 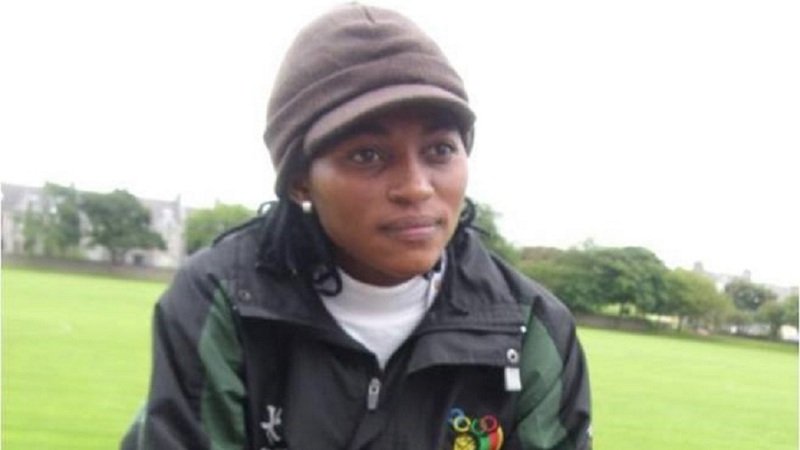 Carine Ndum, Cameroon and Atasehir Belediyespor midfielder: “Women’s football in Africa is in an ugly state. It’s not encouraging at all and it is neglected by Caf. There are no sponsors and no recognition, and countries in Africa lack quality and solid women’s leagues. Africa has talented female footballers, and Caf should support and help develop the game, but I’m confident, considering the increasing rate of stars from the continent dominating big clubs in Europe, that better days are here. Africa will be the best place to enjoy your football career. It is a shame we don’t even have age-grade competitions on the continent except for World Cup qualifying series and Africa Women Championship. Caf should increase the number of teams in Awcon and also add more competitions to women just like men too not only Nations Cup and World Cup. If this is done, Caf will keep the women as busy as the men. No African country has hosted a Women’s World Cup at any level, and to date, Africa is the only continent without any age-grade championships for women, with these having been replaced with qualifying series for the U17, U20 Women’s World Cups. The continent’s rich seam of female talent will be hoping that these players’ clarion call will prompt a change in approach for Caf.